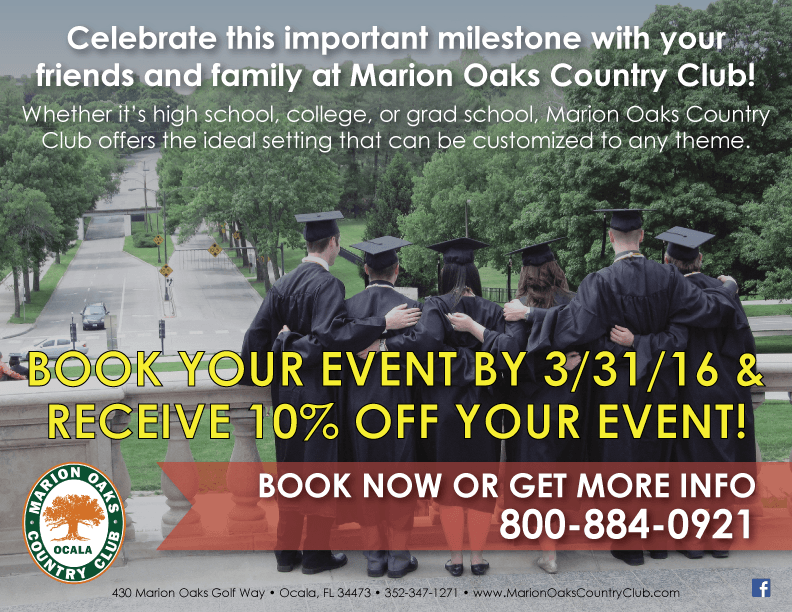 Marion Oaks can accommodate groups between 10 and 100 participants. 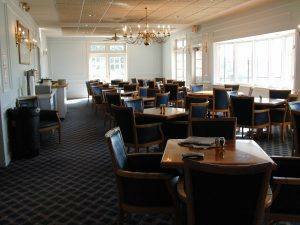 Our clubhouse features a comfortable and spacious meeting room that can be used for both casual and formal events. 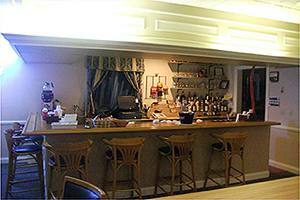 We also have an intimate bar that can be stocked to your preference and a quaint furnished outdoor patio area. 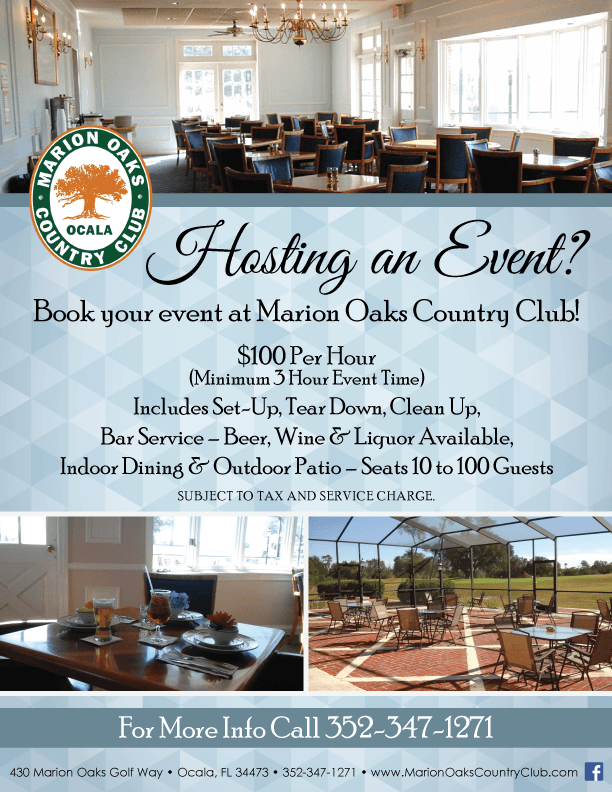 Whether you are planning a simple birthday party, business meeting, or an extravagant wedding, Marion Oaks can help you with all of your needs. Our staff is committed to making your event easy to plan, cost effective, and stress free while exceeding your expectations. 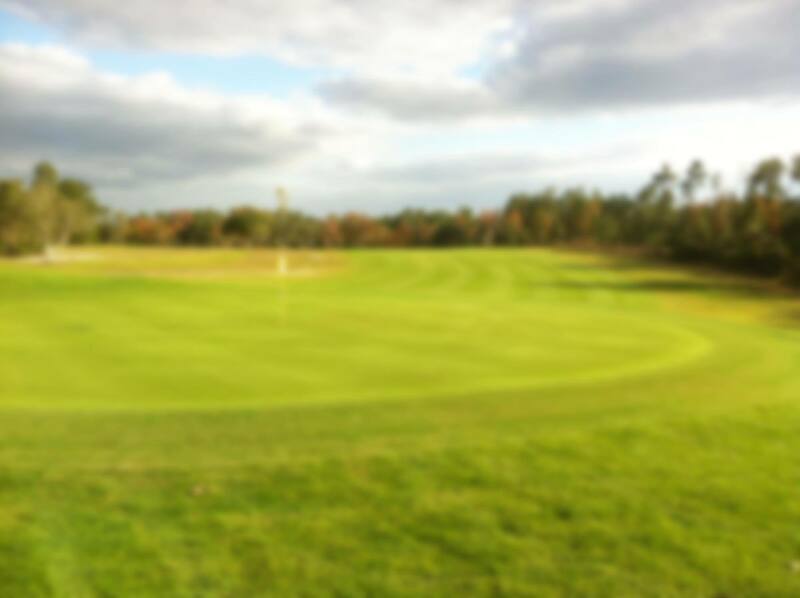 Contact the course at 352-347-1271 or use the form below to receive more information or a personalized quote. 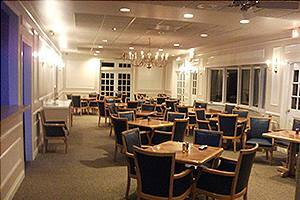 We look forward to hosting your event.